Things are different since your great, great grandpa held an ear trumpet up to his ear. Even ten years ago, hearing aids weren’t capable of doing the things they can do today. Activities that were impossible a few years ago are currently possible because of advancements in hearing aid technology. Just consider these seven things hearing aids are currently able to do. Jogging or riding a bike with a hearing aid in would have been risky in the past. Even top quality hearing aids can be damaged if they fall out while you are exercising. These days whether you are an athlete or novice you can exercise while your hearing aid is in. The evolution here is not in the technology, though. Hearing aids that fall out can still become broken or lost. The basic idea of a hearing aid retention cord wins the day. It’s sort of like putting your hearing aids on a lanyard. They clip to your clothes and slide on to the hearing aid as a safety measure. Hearing aid retention cords area smart choice for kids, too. 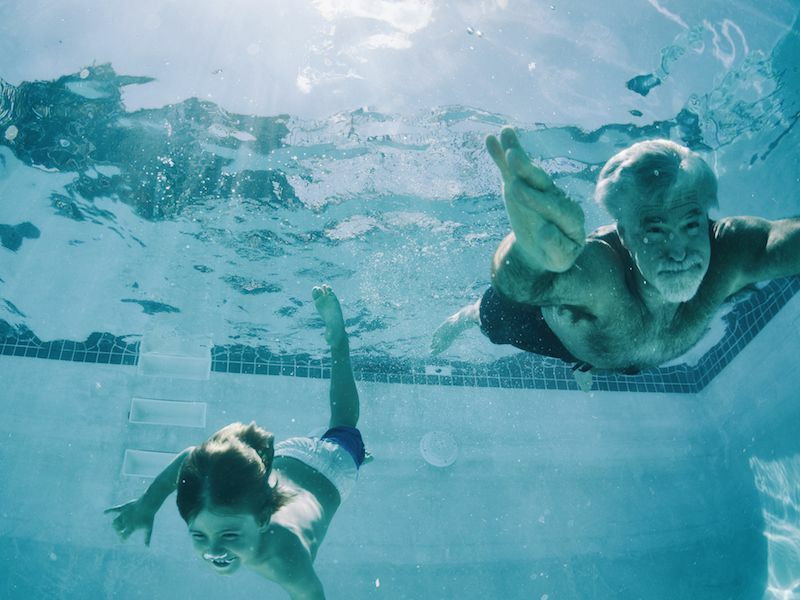 While it is true most hearing aids are water resistant, they still won’t do well when completely immersed. Instead, if you want to go swimming you’ll need to get waterproof hearing aids and consider a few accessories. Start with a protective covering for your hearing aids. Waterproof Sleeves fit securely over the devices to protect them from water damage while still allowing you to hear. The majority of the sleeves come with cords that attach to your clothing too, so you won’t lose the hearing aids when you are enjoying some summer activities. A dehumidifier is another item you may want to invest in. Some water will get inside the case regardless of what you do. The unit gets dried out by the dehumidifier without causing damage to the fragile components. No more having to remove your hearing aid every time your phone rings. However, some brands don’t have this feature. Wireless streaming capability and Bluetooth enabling are capabilities you will want to think about when shopping for new hearing aids. The same way that earbuds or headphones use Bluetooth to connect to your phone, these type of hearing aids also do that. Interested in streaming a movie? Wireless is useful in this situation, as well. With Bluetooth or wireless, the hearing aids can receive sound from your TV or MP3 player. Most hearing aids have a telephone adaptation, as well, that works for both cell phones or landlines. Telephone adaptation uses a telecoil to pick up signals from the phones so you can hear them in your hearing aids. That’s correct, hearing aids have machine learning capabilities. Certain devices will make volume adjustments depending on the environment by remembering your preference and you won’t have to do anything. They can also come with multiple programs so you can store a particular setup in the memory and press a button to recall it when the time is right. Hearing loss and tinnitus are closely linked for many people. Hearing aids that include tinnitus maskers or sound generators will play a low-level sound in the background that masks the ringing, so you hear sounds clearer. The ringing will disappear after the masking sound cancels the tinnitus. Tinnitus masking is a particular feature, though, and not available from all brands. Make certain you ask for it if you are shopping for hearing aids. A compelling new feature in hearing aids is data logging. The devices log things like when you use the hearing aids, times you make volume changes and what background sounds you encounter. Critical adjustments can be made when your audiologist or hearing aid retailer pull up this information improving sound quality. You can quickly lower the volume, change the program, or use your hearing aid as a Bluetooth streaming device if you have a remote. All of these functions allow you to do things that weren’t possible years ago even though they aren’t all brand new. Also, progress in hearing aid technology is always being made. If you go shopping for new hearing aids, be sure to check out the latest and greatest features. Schedule an appointment with a hearing care professional to see them all.